The meeting between President Aquino and President Park during the APEC summit held in the Philippines has left a bad taste in the mouth of OFWs in South Korea. Judging from the social media rants of some OFWs in South Korea, nobody approves President Aquino in his request to President Park to support the approval of the Social Security Agreement. Just like other workers in South Korea, I reacted so badly with this because as far as I know, the issue about SSA has been resolved. But before I discuss further about the progress of SSA in South Korea, I just think that WE have overly reacted to this. It’s ok to get angry, it’s ok to rant, but I think saying bad words to our President and cursing our government is way too much. I understand that Social Media is our only outlet to express our disgust with this issue, but let’s be responsible with what we’re saying. To add insult to the injury, some of us are using wrong hashtags and information. 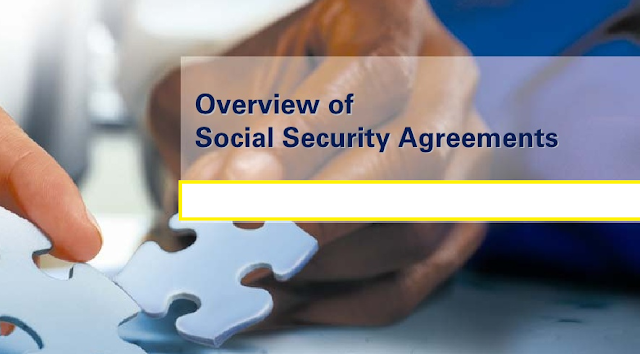 Please don't use phrases like "No To NPS agreement" or something like that because it is way different from the Social Security Agreement or NPS-SSS Agreement. The reaction has actually blown out of proportion as some of us created banners protesting against the NPS. Please be informed that the National Pension Service or NPS of Korea is not our enemy here, not even the SSS. We have no enemy and we don’t need to fight. What we are just fighting here is our right to claim what is due to us, which is in this case, our kukmin. If possible, please take down all those posters and banners because NPS may not like it seeing their logo used in a negative light. Let’s be responsible with our action as this will compromise our status as migrant workers in this country. The Social Security Agreement, as we know it, is all about the agreement between Korea and Philippines to put our lump sum refund or kukmin in our respective SSS accounts. We can only claim the benefits when we reach the age of 65. Nobody agreed to this and NPS was kind enough to listen to the sentiments of the Filipino workers. 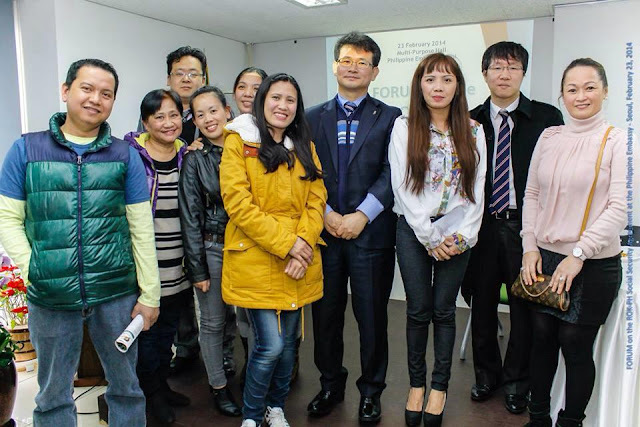 I asked Ms. Gennie Kim, an active Filipino volunteer and advocate in Korea, about what has actually happened to the Social Security Agreement throughout the course of the year. According to her, there was a forum held last February 2014 and there were some progress made in the agreement. Before the said forum, the Filipino EPS Workers Association or FEWA had conducted a survey soliciting from Filipino workers of their opinion about the SSA. Of course, the obvious reactions were negative; I for one has posted my own opinion about my dislike to this agreement. The NPS was kind enough to listen and validate the reasons of the OFWs, and through that forum, the voice of Filipino workers was heard. 2. Transfer the NPS refund into the SSS account and claim it at the age of 65 years old provided that the worker has contributed for 10 years in the NPS. This option is impossible to achieve because an EPS worker can only stay up to 4 years and 10 months. That was what has been agreed at least during that forum, and from then on, nobody talks about the NPS-SSS agreement since obviously nobody wants that. Not until the recent event in the APEC summit where President Aquino discussed this with President Park. If it’s all about making SSA mandatory or not, we don’t know! What we know is, as per agreement with NPS, we have two options. After all, what happened during the summit was just a discussion and President Park did not exactly say anything about it but she instead vowed to improve the Social Security Agreement for the benefits of the people. So I guess let’s just be calm and stop condemning NPS, you are barking at the wrong tree. We have their words and Korea always listens to us. I think all OFW's working here should be aware to this issue. Some of our kababayans are jumping into conclusions because it was not yet clearly discuss. The Philippine Embassy should take further action regarding to this matter because at some point social media is our only medium here. Dessimenate what is NPS-SSA. We should help one another in hand for us to achieve what is right.